From the moment you cradle the 650t in your hand, you’re ready to enter into a bold new world of Garmin GPS mapping and positioning. With high-sensitivity GPS and GLONASS satellite tracking (more satellites mean faster fixes, even in challenging environments), preloaded TOPO U.S. 100K maps, worldwide basemap with shaded relief and a faster processor, you don’t just look at maps, you interact with them. Zoom in, pan out and rotate using multi-touch. The touchscreen even is compatible with many gloves. The reflective display technology boosts touchscreen brightness so much that maps and displays are as vivid in full bright sunlight as they are in shade. And, mark memories with an 8 megapixel autofocus camera with digital zoom and automatic flash/torch, plus customizable buttons for 1-touch image capture and waypoint marking. Now you don’t have to take an additional camera with you to take quality photos. Oregon 650t's built in 8 megapixel autofocus digital camera takes photos worthy of sharing. And each photo is geotagged with the location of where it was taken, allowing you to navigate back to that exact spot in the future. Then share the photos from your Oregon 650t via USB with all your friends through Garmin Adventures, the online adventure sharing community. 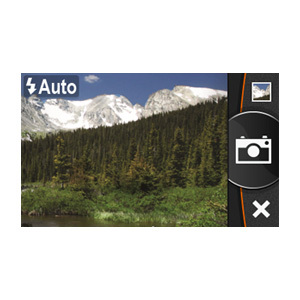 For more storage, insert a microSD™ card; you can even view pictures from other devices on microSD with Oregon's picture viewer. Oregon 650t comes with built-in U.S. topographic data for the entire U.S., including Alaska, Hawaii and Puerto Rico, and a worldwide basemap with shaded relief — all the tools for serious climbing or hiking. Map detail includes national, state and local parks and forests, along with terrain contours, elevation information, trails, rivers, lakes and points of interest. 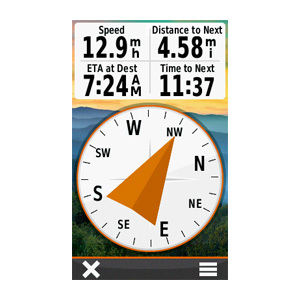 Oregon 650t has a built-in 3-axis electronic compass with accelerometer tilt compensation, which shows where you're heading even when you’re standing still, and not holding it level. Its barometric altimeter tracks changes in pressure to pinpoint your precise altitude, and you even can use it to plot barometric pressure over time, which can help you keep an eye on changing weather conditions. And with its high-sensitivity, WAAS- and GLONASS-enabled GPS receiver and HotFix® satellite prediction, Oregon 650t locates your position quickly and precisely and maintains its GPS location even in heavy cover and deep canyons. No more picking, choosing and planning, just download them all. The Oregon 650t can hold an unlimited number of geocaches. Not just one thousand, not just one million. Unlimited. Download every cache on OpenCaching.com. Load caches from GSAK. Or use your favorite program or website supporting GGZ files*. All your paperless geocaching features will be there for every cache. Read full descriptions, hints and logs. View cache photos. Filter caches by size, terrain, difficulty and type. Connect to chirp-enabled caches. Record your logs in the field. Do it all. The Oregon 650t has no limit.